FTS RAOS Helps Detect Whiskey Fire - FTS Inc.
FTS is currently running a pilot project with its Remote Automated Observation System (RAOS). The FTS RAOS was installed on the Gentry Lookout Tower in the Apache-Sitgreave National Forests in Arizona. FTS wanted to show the importance of having a high power zoom, remote control camera located at a location with good field of view, such as a lookout tower for monitoring and detecting forest fires. The pilot project has been using the FTS RAOS daily to scan the horizon, typically at the start and end of shift. On March 26th, the customer was using the FTS RAOS over his lunch break, and noticed something unusual. After positioning and zooming the camera it was determined that this was smoke potentially from a wildfire. The customer took immediate action, informed the dispatch center of the smoke sighting and using local knowledge the incident response team headed to the site of the potential fire. The dispatch center was also able to confirm and monitor the smoke column. The incident response team arrived on site and found approximately a 5-acre wildfire. The team was able to contain the Whiskey fire before it exceeded 10 acres. This rapid response was possible because the fire was detected with enough time in the day for the team to respond effectively. The fire was located approximately 7 miles from the Gentry Lookout Tower. Without the FTS RAOS it could have taken up to 2 days before the fire would have been visible from the nearest town which was 5 miles away. Fuels crew and local fire resources were working to the West of the lookout tower; the Whiskey fire was East of the tower where no fire personnel or resources were scheduled to work. The lookout tower is typically not manned until May during fire season, so having a camera during unmanned times is critical to the protection of our forests. In addition, having a camera, such as the FTS RAOS, during manned times is also a good enhancement for those fires that are farther away and harder to detect by the human eye. Overall the FTS RAOS functioned as intended and was a useful tool to help firefighters respond to a wildfire in a timely and efficient manner. The FTS RAOS helped provide information that might have otherwise been unavailable. The FTS RAOS can keep watch over large areas day and night, giving users powerful surveillance capabilities in remote areas. 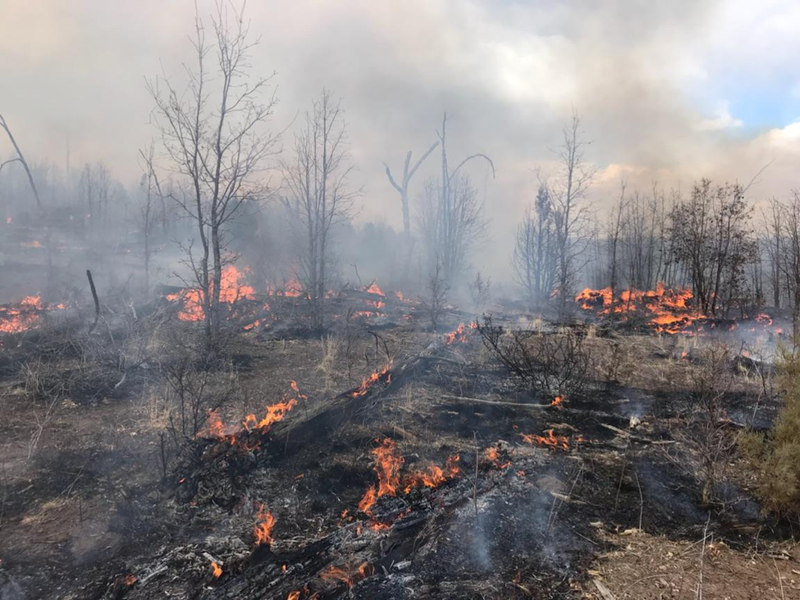 It is an invaluable tool for fire management as it can be deployed for prescribed burns and smoke monitoring and its thermal camera capabilities make it perfect for hot-spot monitoring. To learn more about the FTS RAOS or to request a quote visit our website, we also offer a RAOS rental program.